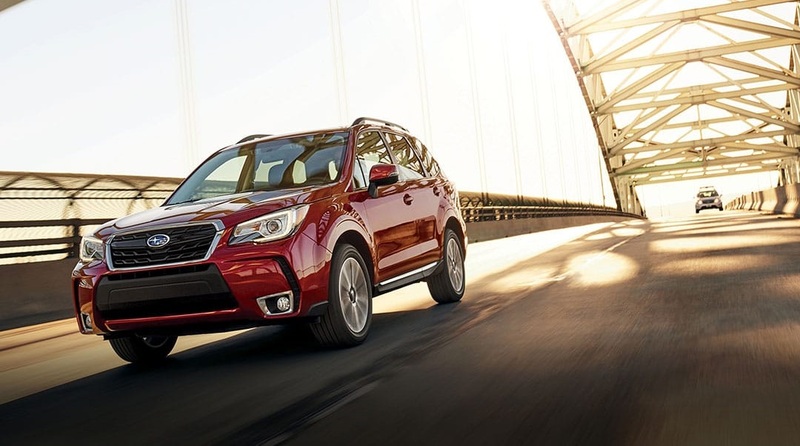 Adventurers will love the newly redesigned Forester. This vehicle is designed to help you get where you're going in style, and it also offers plenty of features to make it a worthy outdoor companion. If you need a 2017 Subaru Forester for sale near Denver Colorado, our dealership has several models available to help you decide on the best option for you. The 2017 Subaru Forester comes in a variety of colors and with options that you can add to improve its value. Come down and see our selection of Forester for sale and take one home today. The outside of this vehicle is as impressive as the inside, and you'll love the option to use the power rear gate to easily load and unload your haul. The power panoramic moonroof gives you an excellent view of the night sky, and you can even turn this vehicle into a fully-protected tent by folding down the back seats and looking up through the moonroof as you fall asleep in nature. You'll love the bold design and aerodynamic features that make this vehicle the main competition for every other vehicle in its class. When it comes to the exterior, you need to get a vehicle that is both functional and practical. The 2017 Subaru Forester for sale near Denver Colorado meets both of those criteria, and it's also exceptionally beautiful to behold. Come down and see our 2017 Subaru Forester and find the perfect Forester for sale to enhance your life. The platinum interior comes with several different material and color options to give you just the experience you're looking for. This vehicle is designed to be intelligent and aware of your needs. With voice-activated commands, you can control your navigation settings and arrange your music to listen to only the songs that you love. You'll also love the enhanced legroom and loads of features that are designed to help make your travels more enjoyable. The vehicle is well-appointed, and you'll be able to enjoy power windows and an auto up/down function that will enable you to get more accomplished with less effort. Our dealership offers the best specials to Denver residents, and we want to help you get a first-hand look at the Subaru that will meet your needs. 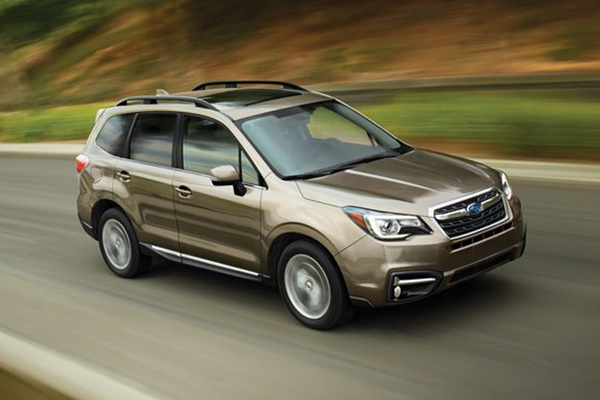 We have an exceptional number of vehicles with varying options at our Flatirons Subaru dealership, and we can help you get into a Subaru Forester at a price that you can afford. Starting with the exceptional ground clearing capability, you'll be able to take this car most anywhere without fear of stumbling over rocks. You'll also get a sport-tuned suspension that is designed to give you the best possible driving experience that doesn't shift and jostle your passengers around the cabin. In addition, since Subaru has been listed as the most trusted brand by Kelley Blue Book in 2017 and the lowest vehicle to won with a 5-year cost, you know you're getting a great value. 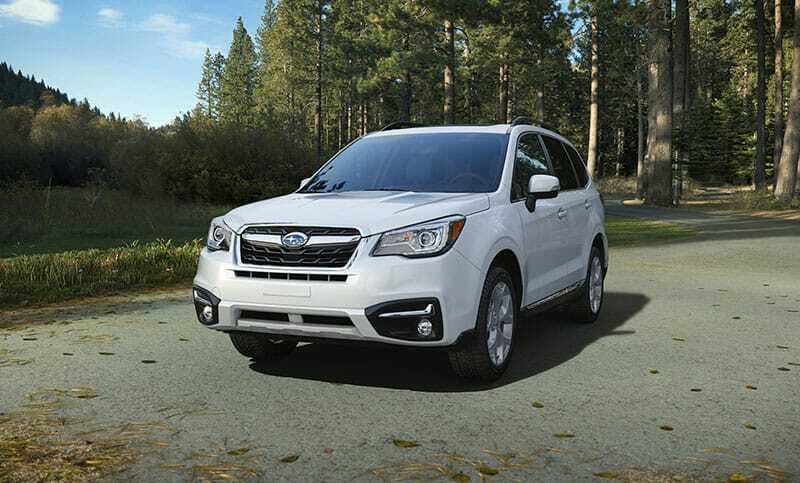 We offer several specials to Denver residents and our Flatirons Subaru dealership knows the Subaru Forester in intimate detail. This vehicle is designed to power you through the toughest situations and you'll love how well it adapts to different terrain at a moment's notice. With a vehicle that is designed to tackle the outdoors, you need to take advantage of some of the enhanced power settings that this vehicle has. You'll enjoy a 250 horsepower direct injection turbocharged engine on some models. The turbocharger is an enhanced option that kicks in when you need to accelerate a bit faster. This gives you the chance to have an engine that is small enough to be efficient while still giving your vehicle that much-welcomed boost when getting up to top speeds. Come get a powertrain that will help you achieve greatness and check out our 2017 Subaru Forester for sale near Denver Colorado. We have some of the best 2017 Subaru Forester models available. Come down to our dealership, and we'll show you the different options we have on our lot. Take home one of our Forester for sale today, and get started on your next adventure. With EyeSight you're not just getting another marketing term designed to sell more cars. This technology is the culmination of everything the Subaru engineers know about keeping you safe on the road. You'll get everything they have thrown into this vehicle. Your car will constantly monitor traffic for threats, and there are even options that will allow the vehicle to brake in case an impending collision is detected. If you're hit, you may be able to apply the brakes initially, but the impact will quickly cause you to lose control and your vehicle may roll. This is just one of the many situations the advanced technologies aim to solve. We have a variety of specials to Denver residents so that you can get this safe and incredible vehicle for your own today. Our Flatirons Subaru dealership has the Subaru Forester in stock, and we can help you find a vehicle with the right options to help you enjoy your next outing with friends or family. When you give us a call, you can schedule a test drive and find out how much we can help you save on your next purchase. Give our dealership a call or walk in to test drive one of these vehicles and we'll show you the difference that our dealership can make in your car-buying experience.